What a wonderful way to start the day; Daydream Believers is being featured on Captured by Jes today! Jes is a very talented photographer and her beautiful daughter, E, is a natural model! If you’re a long time follower of Daydream Believers, you may recognize E* as she has graced this blog many times! I have the pleasure of knowing Jes and E* in real life; besides my own girls, Miss E was the first Daydream Believers spokes model! She will always hold a special place in my heart, as she was also my first paying customer! 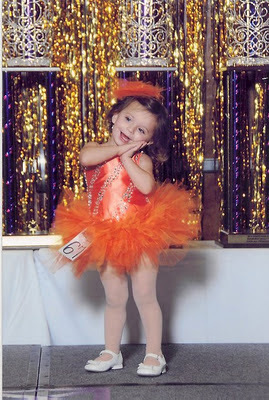 I love this sweet picture of itty bitty E* rockin’ the stage in her first DB custom tutu!